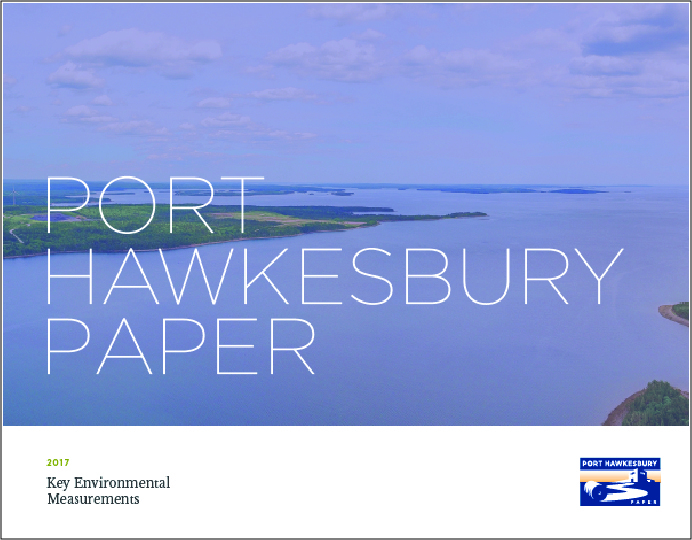 Port Hawkesbury Paper is dedicated to ensuring that the management practices performed by the company adhere to the principles of sustainable forest management. 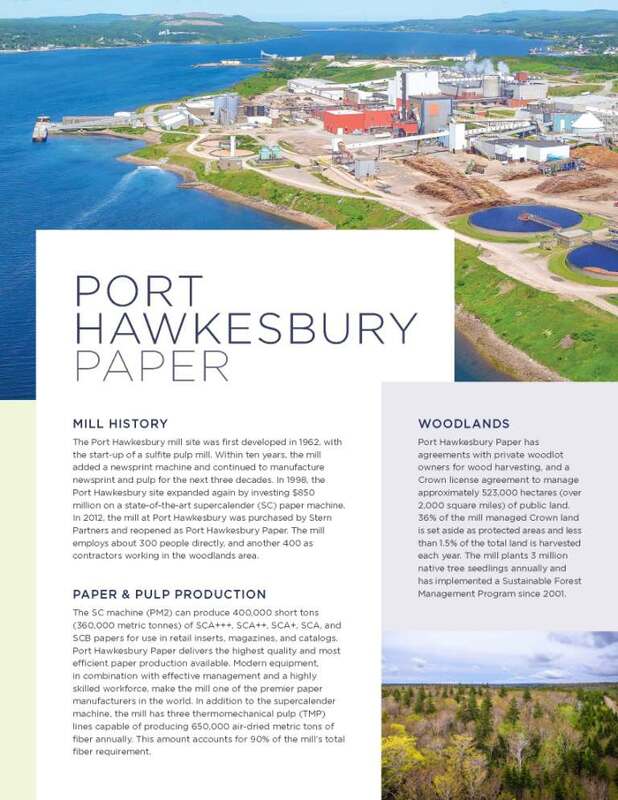 This means our goal is to provide long term sustainability and natural biodiversity for many ecological, social and cultural values while providing a stable and long-term wood supply and economic viability for both Port Hawkesbury Paper, local wood suppliers and saw mills. This is possible through long-term planning and strategic implementation throughout each step of the planning process to support the company’s values and objectives for forest certification and conservation. 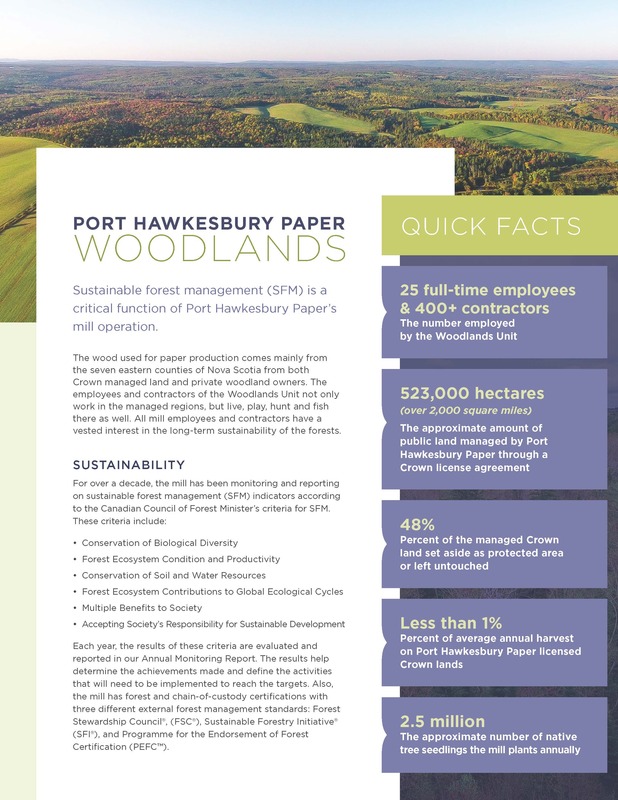 The Woodlands group produces an annual public monitoring report on safety, environmental, and sustainable forest management progress including its management of high conservation values. For additional information about the annual monitoring report, please contact Andrea Doucette at Andrea.Doucette@porthawkesburypaper.com.